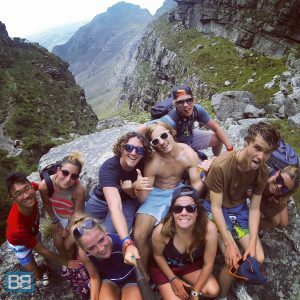 As part of my South Africa trip where I partnered up with the guys from Ticket To Ride Surf Adventures I spent 3 weeks in the gorgeous city of Cape Town, which is the longest I’ve spent in a single destination for quite a while. Although 3 weeks sounds like a lot of time to be based in a city (especially for me…I hate cities!) Cape Town truly caught me off guard with the sheer range of things that are on offer for travellers and the general vibe of the place. So what is there to see and do in Cape Town? Given my affinity for the ocean and the surf, and my dislike for bustling cityscapes I opted to base myself in the suburb of Muizenberg during my stay, a much sleepier beach side area of the city that was actually recommended to me by a local. Coincidentally it’s also where my South Africa surf adventure here started too, so I killed two birds with one stone! As soon as I arrived in Muizenberg I immediately felt at ease. It had all the laid back ocean vibes I crave in a backpacking destination and simply being back by the waves is enough to put a smile on my face! 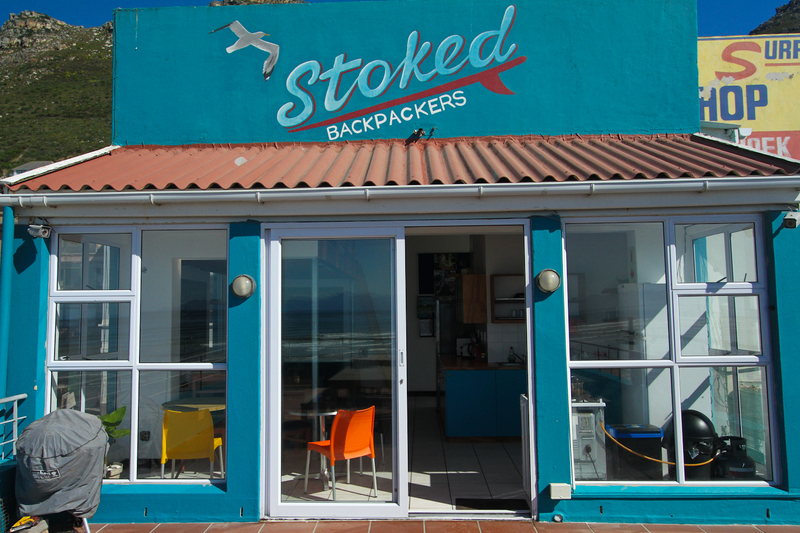 My base for the bulk of my stay was Stoked Backpackers – which has an incredible location overlooking the beach and was one of the best hostel stays I’ve had in a long time. The area itself is full of great places to eat out (in fact there are heaps of incredible places to eat all over Cape Town) – including a great array of veggie cafes – so no whether you fancied a pizza, quinoa burger or even a post surf falafel pita you’re set for a belly full of goodness. What’s more is that the prices were all well within the grasp of a backpacker budget – in fact most of the time it was cheaper to eat out for a meal than it was to cook something yourself! The best thing about the area though is the HUGE array of things to do, I can honestly say that during my 3 weeks here I was rarely stuck for ideas on what to do to fill my time! A Short Break Mid Way Up Table Mountain! Shark Cage Diving – it’s been sat on my bucket list for years now and I LOVE diving with sharks, it has given me a whole new respect and perspective on this very misunderstood creature, so naturally cage diving was on my to do list! Unfortunately though as is the risk with any wildlife encounter (and due to my timing at the end of the season) we only saw a couple of great whites. Still it was epic – and the guys at African Eco Shark Encounters were nice enough to give everyone a voucher for another free trip. …shame I simply couldn’t fit the second one into my stay! Hiking Table Mountain – the most famous feature of Cape Town dominates the skyline throughout the city and you can’t really visit without seeing the views from the top! There’s numerous hikes you can do to the top which was a great experience in itself (I did the whole thing barefoot!) or you can opt for the easier option and take the cable car to the top. 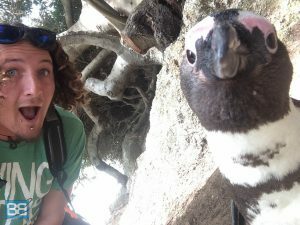 Boulder Beach Penguins – to quote our surf coach Nikita this is her “F*cking all time favourite thing to do” and lets face it who doesn’t like penguins?! Stroll along the board walk and check out the colony of Cape Penguins that call the spot home or go down onto the beach and try and spot them…we had one swim up to the shoreline and waddle back to his nest inches away from where we were sat! Dive With 7 Gills and Seals – For those who are certified divers Cape Town offers 2 incredible dive opportunities. The first is with the local Cape Fur Seal population where you’ll spend your dive playing with these heap fun creatures as the spin and twirl around you! The second is the more unique chance to cruise alongside the rare 7 gill cow shark – a prehistoric creature that is pretty inquisitive. The dive itself is in a kelp forest too which is a great place to swim through on it’s own. 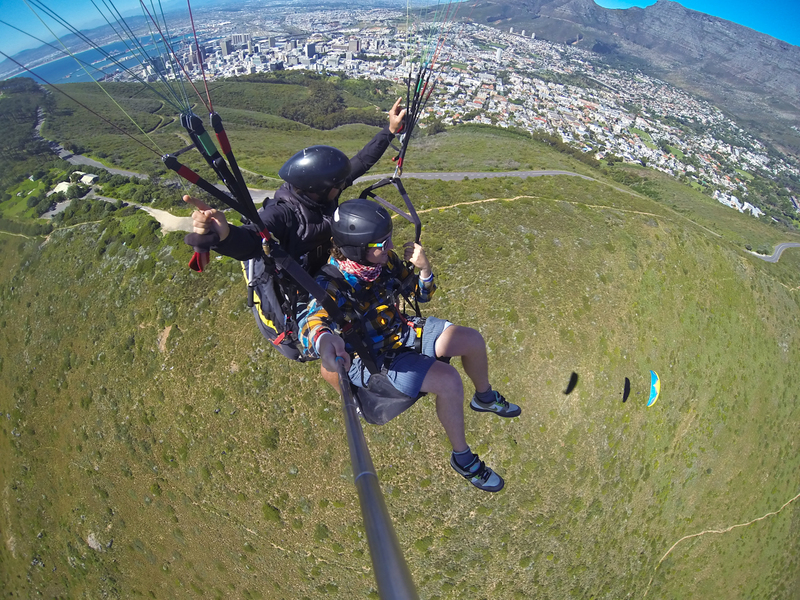 Paraglide – If you fancy a different perspective on the city then checking out Cape Town by paragliding is something I totally recommend. Soaring over Signal Hill gives you beautiful views along the coastline as well as taking in the Table Mountain range that give the city it’s famed backdrop. Wine Tasting – For those who’d rather something less strenuous checking out some of South Africas top wineries is a great shout. If like me you’re no where near being a wine buff it’s a good trip to learn something new as well as get a bit tipsy! Of course the main reason I’m in South Africa is the surf and both Muizenberg and Cape Town don’t fall short on this element. Muizenberg beach itself is the perfect place for beginner surfers, a forgiving, spilling wave which is a great spot to introduce yourself to the sport. There’s heaps of surf schools in the area to choose from or hire kit (I recommend checking out the guys from Lifestyle Surf Shop) or of course you can join the 10 week surf adventure I was on and spend 2 weeks getting the basics down here. For those with a bit more surf experience the jagged coastline is packed with the full range of waves – beachies, point breaks and reefs. Spots like Long Beach are great for intermediates and the reef at Kalk Bay offers up some great barrelling sections. If you want to go all out then the ominous big wave spot Dungeons also calls this place home – best to leave the pros and suicidal types to that one though! …and for those who don’t fancy paddling out they’re all great spots to simply enjoy watching the locals tear the waves apart! For me Muizenberg and Cape Town ticked all the boxes for my ideal backpacking destination, it had sun, fun and plenty of beaches to choose from – perfect! It was also pretty easy on the wallet too and you can sort a week long Cape Town Intro Package from around £235 which includes accommodation and the main activities and with meals at around £3-5 it’s surprisingly cheap to stay and play in this part of the world – which you can see from my Monthly Budget during my time in South Africa. Have you visited Cape Town before – how did you find it? Any awesome things you’d recommend people add to their to do list? Aaagh I love CT and Muizenberg as well. Doing my internship here and will stay untill December. One of the things I love most is that you are in beautifull nature before you know it! Hikes are wonderfull, people are nice and weather is getting better and better! Nice – what internship are you doing? Indeed so many good little hikes and awesome locals, hopefully I’ll be back soon! Doing my internship in a hotel, only one month left – three weeks actually. And then its time for a real holiday at this beautiful place! 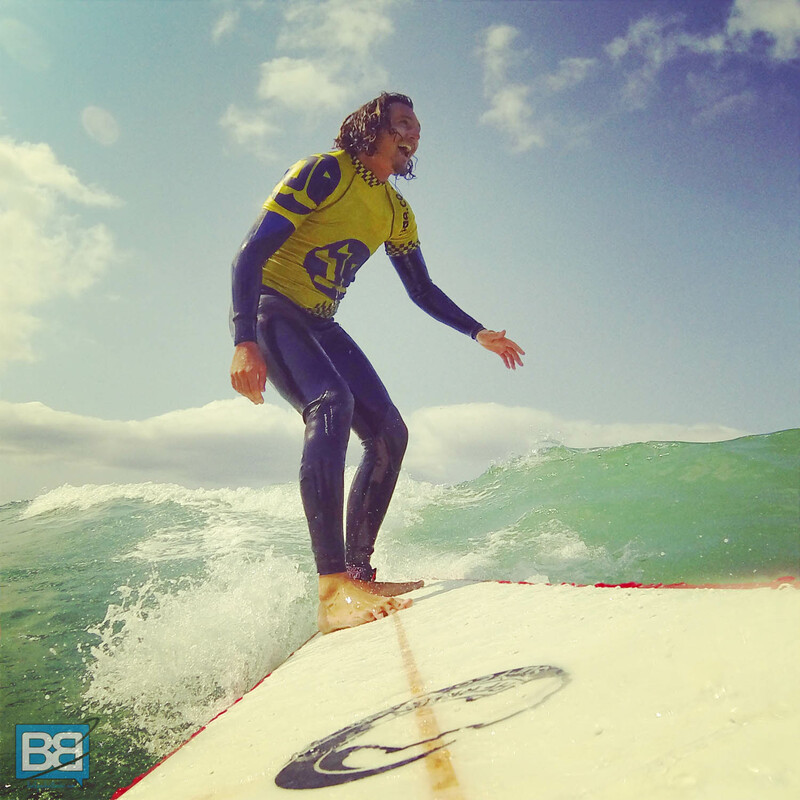 Yes yes go check it out – if Muizenberg is small you can always head over to Kalk Bay and the bigger breaks in the area. Send me photos and make me jealous!hahaha! Wow! it’s a nice place to do adventures there. You are so lucky. Indeed such a beautiful part of the world. Start saving and I’m sure you’ll get there too! Hey Jess, stoked you like the site! Sounds like you had an epic journey in South Africa, I’m loving the pics! hahaha it’s true hey, gorgeous country!